Setting up your Tribute Fund is simple, and once set up it can provide a focal point for family and friends to share thoughts and memories, as well as light candles, add photos, messages, videos and music; even continue celebrating birthdays and anniversaries. If you wish, you may also contribute to a Lasting Tribute. All donations are grouped together into one unique fund that shows how much money has been raised in tribute to your loved one. Donations made in lieu of flowers are often the first contributions; long after the flowers have faded, donations made in memory of a loved one live on. 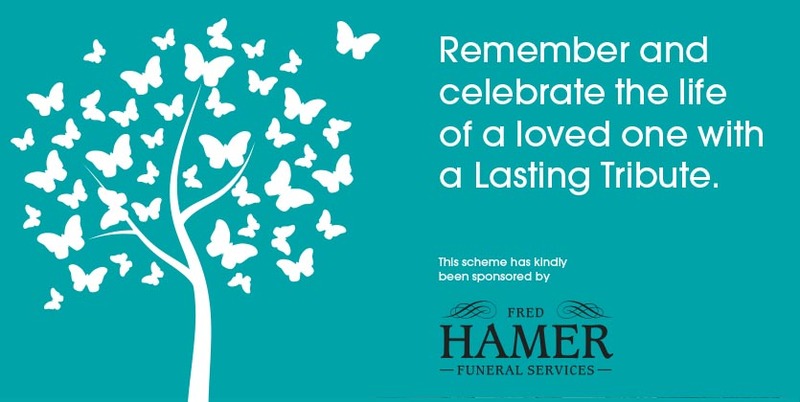 If you are organising a funeral you may prefer to ask family and friends to make a donation on your tribute page. Some people choose to make a regular donation, others organise specific fundraising events or make a donation to mark a special occasion. In just a few minutes you can set up your personalised Lasting Tribute and if you wish, share it with family and friends. Donations received through your Lasting Tribute will help Rossendale Hospice provide care to people living with life limiting conditions. Your Fund will help us offer many services free of charge to our patients which include Day Therapy, a range of Complementary Therapies and Psychotherapy, Bereavement Counselling and a Befriending Service. In addition we also provide Hospice at Home care for patients at the end stage of their life. You can set up a Tribute Fund whether or not your loved one received care from Rossendale Hospice. To make an entry on an existing Tribute page search below for their name. If you would like to download our Lasting Tributes leaflet, please click on the green button below.